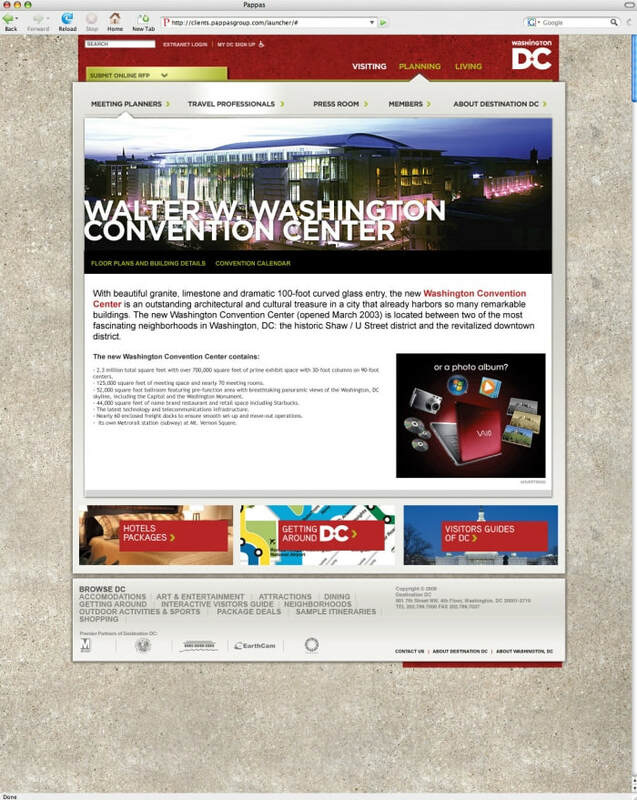 From 2006 to 2008, I served as the eMarketing Manager for the Washington, DC Convention and Tourism Corporation (WCTC) where I was responsible for managing all of the organization's digital programs (i.e. websites, email marketing, social media, and more). The mandate of WCTC has been to bring inbound visitors to the nation's capital, including tourists, conventions, media, and tour operators. 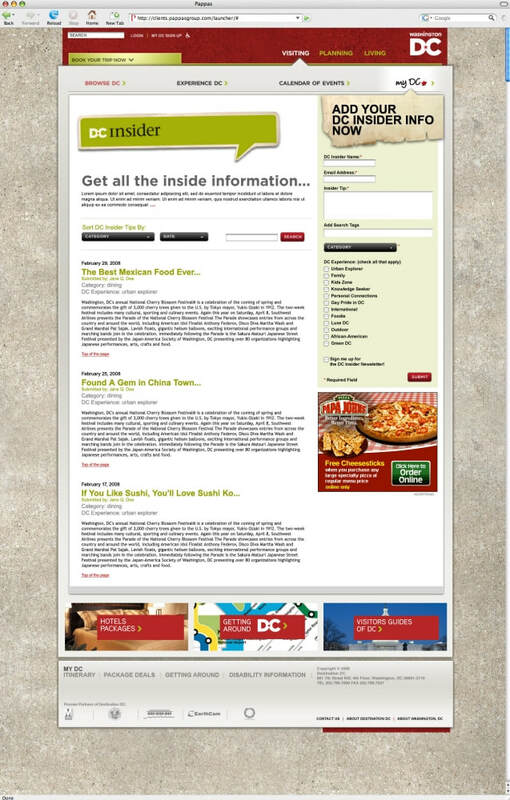 The main focus of my work was to maintain the content that appeared on Washington.org, the main travel website with information that appealed to all audiences. It was built on a antiquated Content Management System. 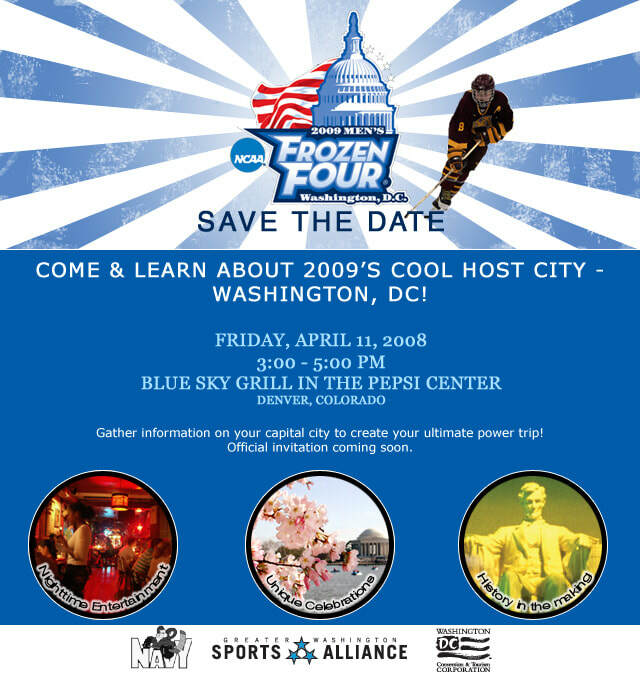 From 2007 to 2008, the organization underwent a rebrand, becoming known as Destination DC. 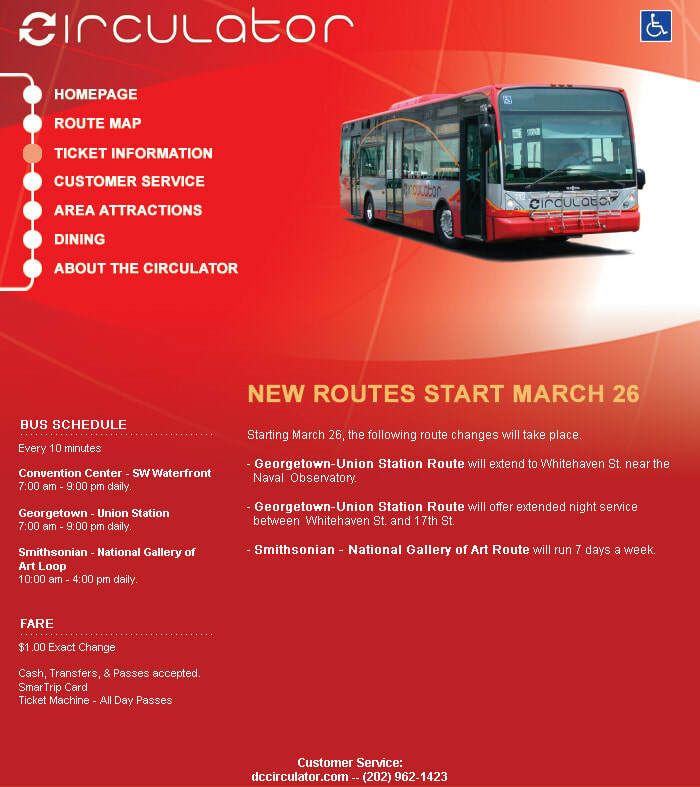 As part of this change, a website redesign was ordered. ​Working off of feedback from colleagues in different departments of the company, I generated a Request for Proposal (RFP) that was distributed to various agencies. It was my task to scrutinize each response we received before bringing in finalists for a presentation in front of key stakeholders. When we selected our Agency of Record, I worked with them on establishing deadlines, costs, and reviewed wireframes, layouts, held meetings, and served as the primary point of contact. 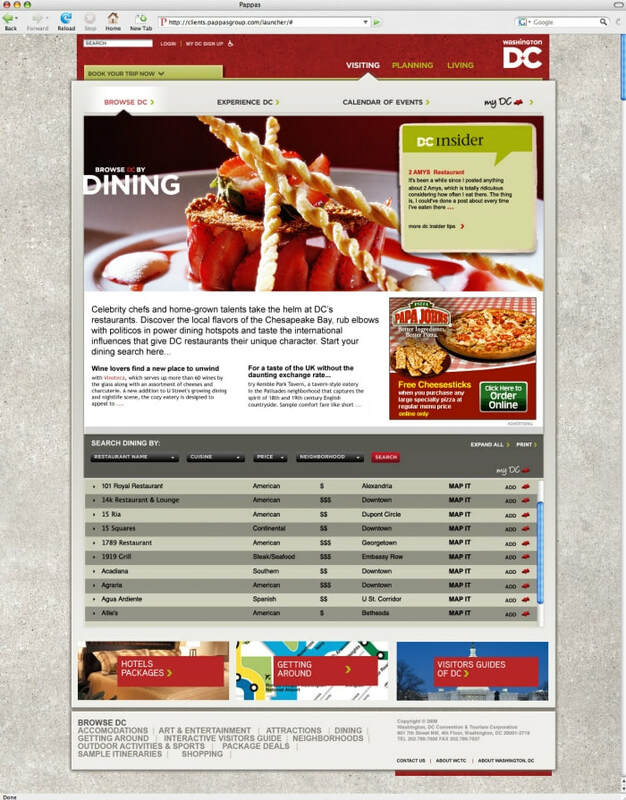 While much of the content on the site was managed through a Joomla Content Management System, an important integration was with the Destination 3000 platform, which the company used as its Customer Relationship Management (CRM) software. Tied into that allowed our website to showcase our partner companies so visitors can find out places to eat, stay, how to get around, and attractions they have to see. We also included an integration with ARES, a major travel booking engine. 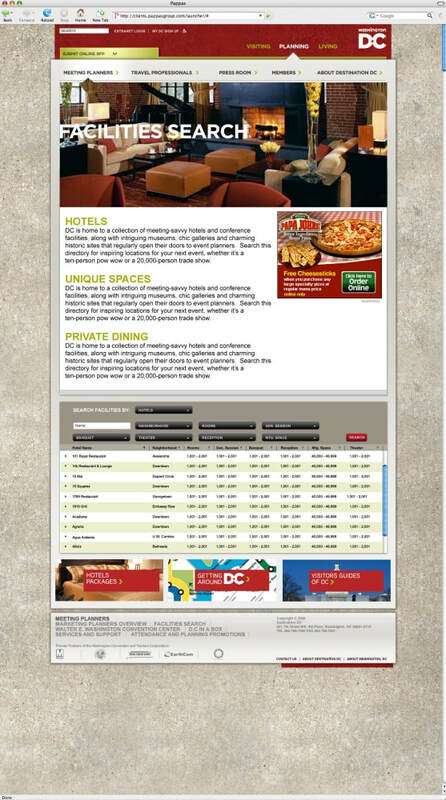 In doing so, it allowed visitors to quickly book tickets and hotel stays right from our website. The website redesign was a massive undertaking, costing nearly $300,000 and lasting approximately six months. In addition to website management, I was entrusted with the execution of all email marketing campaigns for the company. 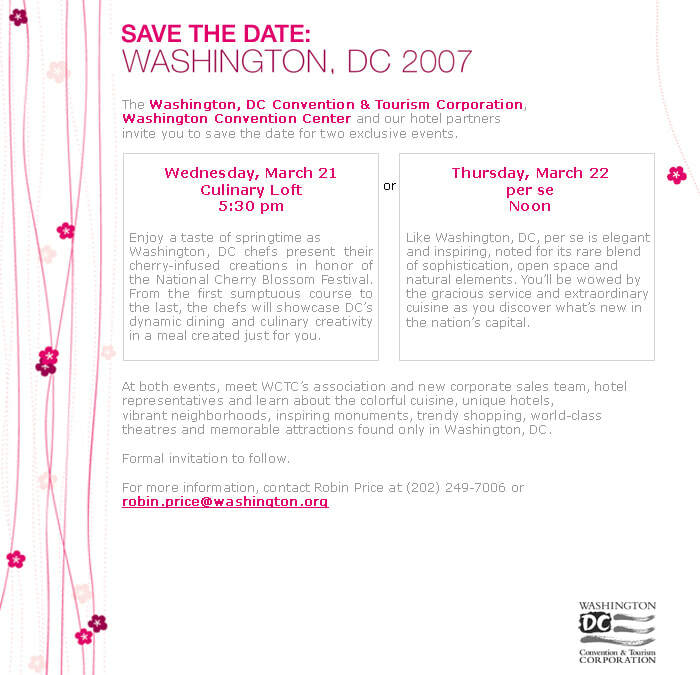 Besides emails that went out to consumers, there were others targeted at meeting planners, members of Destination DC, journalists, and even ad hoc ones centered around specific dates and events. Working alongside the rest of the marketing and communications team, I would curate content and produce the email myself, before importing the HTML code into Constant Contact for distribution. When it came to our consumer outreach, the database had not been sanitized, meaning there were a lot of duplicates and erroneous email addresses. I took it upon myself to do what I can to cleanse this massive list which contained hundreds of thousands of individuals. The database was scattered across numerous database and curated from various marketing campaigns that there wasn't just one master list. Eventually I sorted it out and compiled the names into a master Access database file before attempting to streamline efforts by dumping the data into Constant Contact. Destination DC is also very much event-driven, hosting events throughout the region and in key markets to entice additional business. As such, different departments in the company would request emailed invites be sent to curated audiences, so it was my responsibility to produce the email using a pre-existing template and also create an event registration page using Cvent. Once everything was approved by the stakeholders, these "e-vites" were sent out to audiences and tracked for responses. 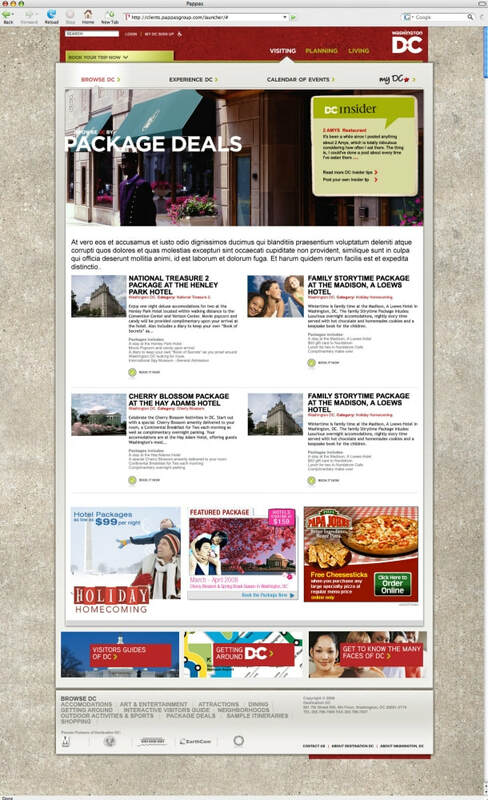 I was largely in charge of all facets of Destination DC's email marketing program: List management, design, copywriting, project management, and execution. 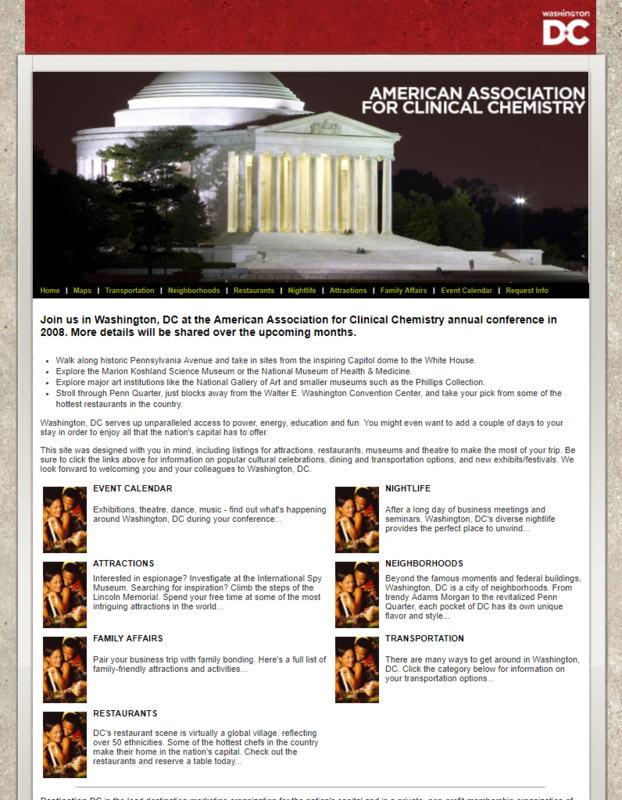 Every year, there are any number of additional events that take place around Washington, DC that requires special websites to be created. 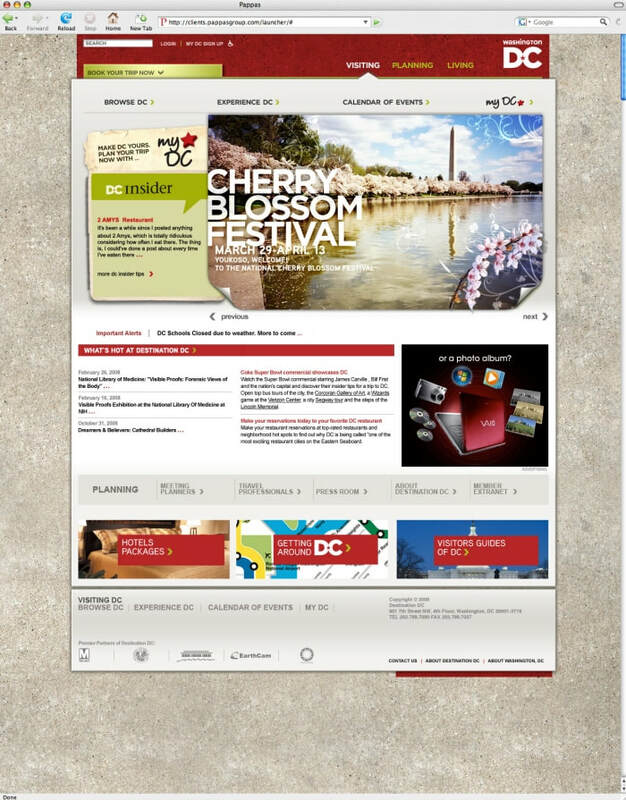 I often worked with the marketing, partnerships, and sales departments to develop targeted microsites that showcased the benefits of coming to the nation's capital. 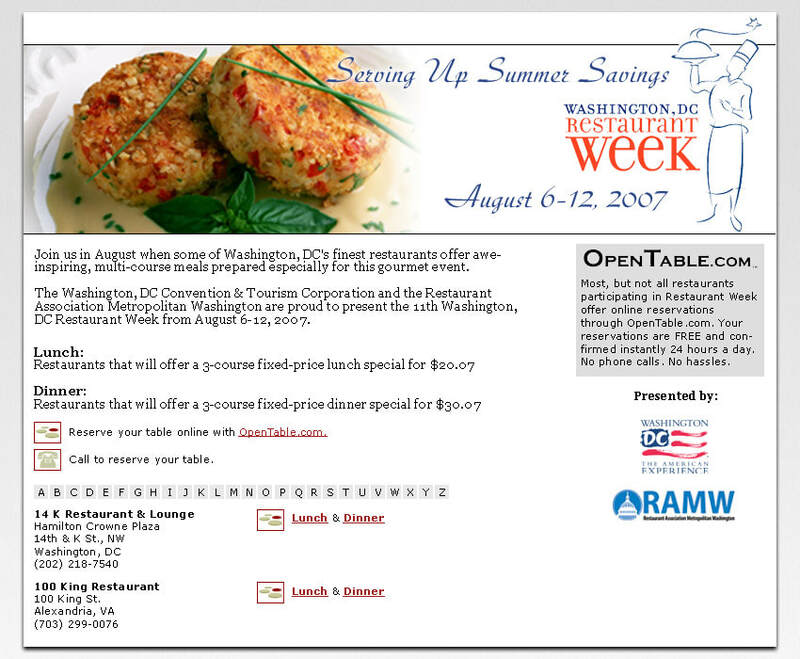 Whether it was celebrating the Cherry Blossom Festival, Restaurant Week, or even those aimed at specific conferences coming into town, my responsibility was to stand up these websites, often within a day's notice. 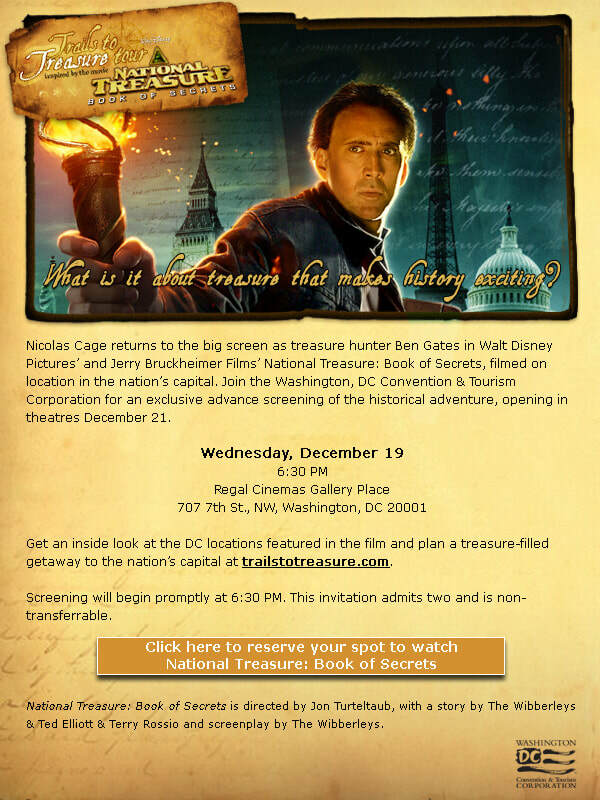 When the Walt Disney Company released the Nicholas Cage movie "National Treasure 2", Destination DC was a marketing partner, putting together an online scavenger hunt campaign, complete with interactive map, email marketing campaign, and podcasts that visitors could download and get the real experience while visiting local attractions. 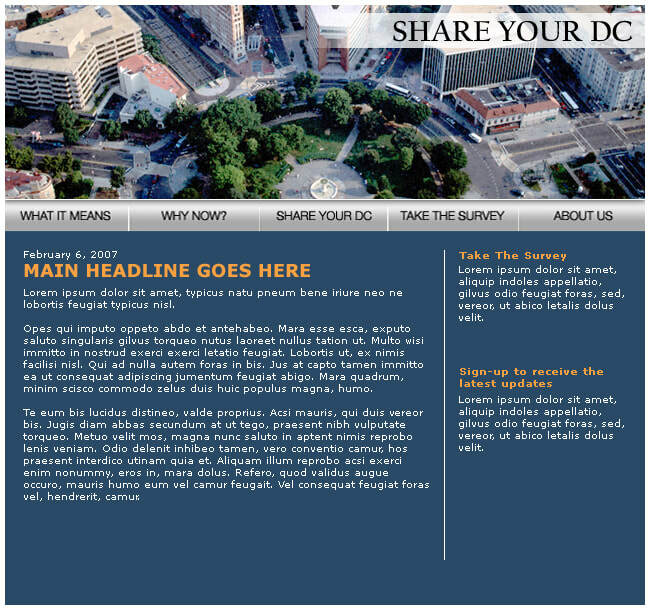 When the organization was looking to rebrand itself, it looked to the public for feedback and we established a site called Share Your DC. The goal was to encourage locals to participate and help us showcase Washington, DC the way they experience it on a daily basis. I was responsible for the creation of the site, the survey that accompanied it, and the maintenance. The campaign that Destination DC implemented gained the support of then-Washington, DC mayor Adrian Fenty and was featured in a newscast for ABC's "Nightline" news show.